“So, you want to start CrossFit but you’re still a little nervous? Then take a sneak peek behind the scenes of a new member’s initial journey & learning experience“…. Where do you start your CrossFit journey? Well, as with everything else in life, at the beginning of course. The beginning point, in this case, being the knowledge of efficient movement & the skills required to both move efficiently & strengthen those movements. Why do you need to this? 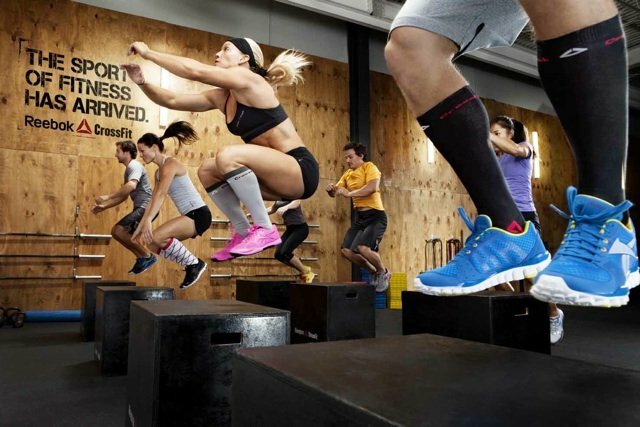 Well, it’s your transitional point or induction into the world of CrossFit & high-end fitness. 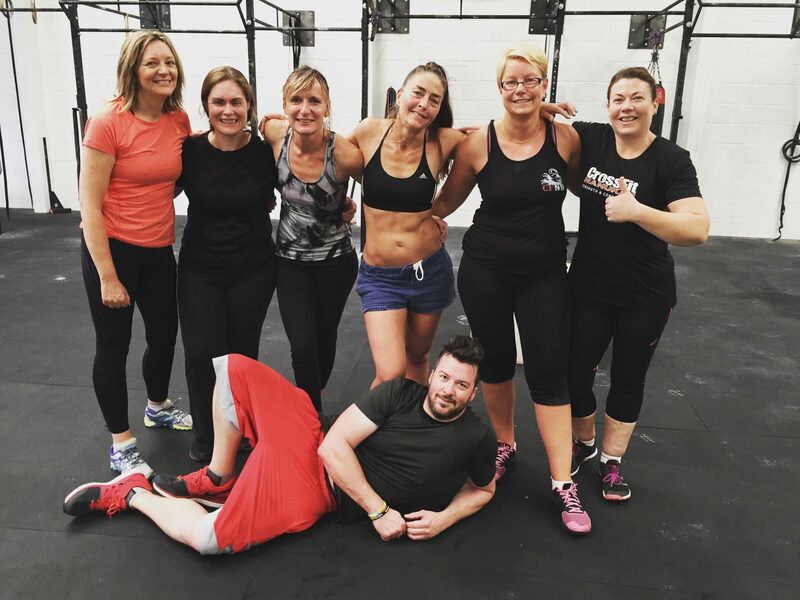 You see, CrossFit North Devon isn’t just a regular gym, we are a professional Strength & Conditioning training facility that prides itself on its ability to teach correct functional movement starting with mobility, building technical ability and then gradually adding strength & aerobic fitness. You see, CrossFit is all about the Coaching & is essentially a hybrid of Group fitness & Personal training. Our classes are designed to educate you in regard to mobility, introduce you to often new strength equipment such as barbells & kettlebells and provide you with a foundational understanding of how we use them to strengthen your everyday movements. Well, If you’re the kind of person that likes to do your hair before you go to the gym, reads a book on the treadmill or spends most of their time looking in the gym mirror, quite frankly, you’re gonna hate it. You’re going to get sweaty, it’s going to test your resolve, you’re gonna swear, get covered in chalk and end up laying on the floor. But most of all you’re going to get results, you’re going to get stronger & fitter than you could have believed possible, you’re going to learn to push yourself, become comfortable with discomfort, you’ll have a lot of fun, make a lot of new friends & have some of the best fitness coaches in the business, pushing, guiding and supporting you every step of the way. We have people of all ages and ability levels at the box (CF for Gym). We have people that like to train for fun, some are there for the social aspect and a break from the kids, some are there to improve their sport (especially surfing fitness) and some like to compete. Ages range from 12 to 68 with an equal split between men & women, a big population of over 40’s & fantastic kids classes. The best bit is, once you’ve completed your basic training, you are welcome to train in any CrossFit Affiliated Gym, worldwide. There’s even a CrossFit map on google. This is where your fitness education starts. The ultimate purpose of our foundation training is to give you a sound understanding of how to move efficiently with new equipment & give you a taste of CrossFit life. You can check out our starter packages here. The first few sessions of your foundational training are solely technique based, where we introduce you to barbells & kettlebells, often for the first time. You’ll learn a total of 11 movements, all of which are broken down into easy to learn segments. Each session is designed to build upon the previous so that your knowledge and confidence grows gradually. You’ll have a lot of fun in these sessions, meet some of our hard-working coaches & meet some of our fantastic members. The first thing that happens is you’ll be greeted by one of our coaches. The second thing that happens is everyone that’s attending the class is gathered around the whiteboard, where you’ll be introduced and the Workout Of the Day (WOD) is explained. This is then swiftly followed by a group warm up. During the main section of the class, you’ll be further introduced to other people of similar abilities who along with the coach, will further help you develop your technical abilities and strength. The last section of the class, you’ll be given various (scaled) choices of the workout to choose so you can train at your current fitness ability. As much as the coaches are there to help train and push you forward we understand that everyone has there goals and sticking points, so you are more than welcome to do as much or as little as you wish, all we ask is that you focus on good movement and technique and try your best. OMG, I’m so unfit… CrossFit Coaches hear this statement practically daily and It doesn’t just come from people starting out in fitness it comes from those that thought they were established. There are essentially two main reasons for this. The first being that although our classes are more-often-than-not short in nature, you tend to get a lot more physical work done no matter your fitness level. Essentially, as your fitness grows the more you are able to do and there is no end to where you can take your abilities with CrossFit. The second reason is that there are so many new movements, skills and pieces of equipment to learn, you’ll be using practically every muscle in your body and you’ll quickly discover muscles in areas you never thought you had. This new & increased level of activity is likely to initially provide you with what’s referred to as DOMS (delayed onset muscle soreness). Luckily this initial soreness starts to wear off towards the fourth and fifth weeks of any new physical activity, around the same time you start to notice the differences in your improved fitness and body shape. 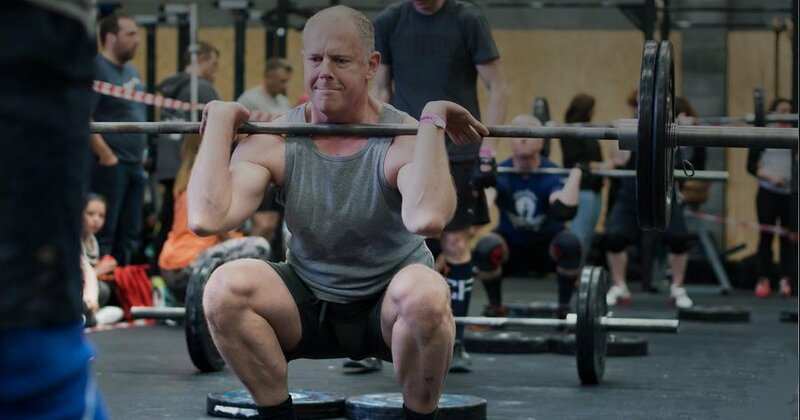 There is definitely a transition period to take into account when starting CrossFit and any other activity for that matter. But start slowly and we suggest 2 times a week for novices and 3-4 times per week even for the advanced among you, but be consistent with your training and in no time at all you’ll be able to up your game as you see fit. This is the best advice ever and something often ignored by those that know better. Trust me when I say us Coaches have honestly seen & heard it all before. From people trying to lose weight with Paleo cakes, others training through injuries, mystified it still hurts & all the ‘I can’t’ excuses you could possibly imagine. You could say as Coaches we have an awful lot of experience in the people management arena, along with even more Fitness Training knowledge, so it’s highly likely you don’t know more than us in regard to what we teach. If you are having problems with something communicate with us, don’t just sit in silence and get frustrated. If the Coach asks you to add more weight, it’s because you’re probably ready to progress. Similarly, if you are advised to take the weight off, it’s likely that your technique is suffering. If you have an injury, tell us instead of training through it, making it worst and being unable to train for three months. We are there to help and guide you, that’s our jobs, our professions and whilst we like to have a bit of fun, we also take your fitness & health very seriously. So, help us help you and ask as many questions as necessary, but above all develop the art of listening, it’s quite simply where the gains happen. 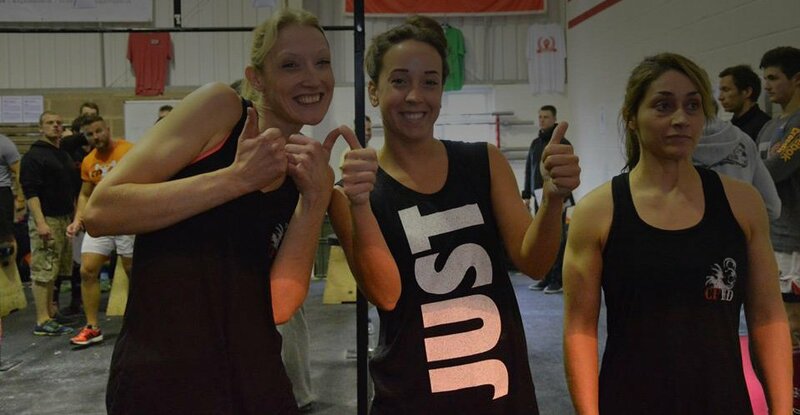 I hope you’ve enjoyed this little inside look at CrossFit North Devon and are feeling inspired to get started with us? Hit this link or use the above search bar and head over to our ‘Get Started’ and take a look at what we have to offer.